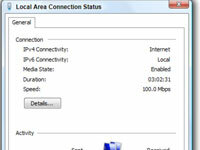 Sometimes the only way to resolve network problems in Windows Vista is to assign a static local IP address. Your network equipment (such as a network interface card or wireless adapter) is supposed to communicate with each other to determine which one is in charge of setting the IP address, but if more than one piece of equipment wants to assign the address, chaos can ensue. 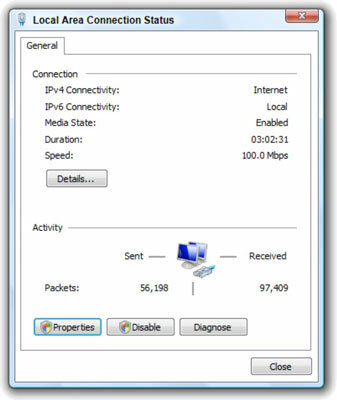 Static local IP addresses are ones you dole out by assign manually. Every time you reboot a PC with a static local IP address, it comes back with the same static local IP address, as opposed to dynamic local IP addresses, which are automatically assigned by a box called a DHCP server inside your network equipment each time your computer reboots. Think of assigning a static IP address as the last refuge of those whose networks are so messed up that the boxes can’t be trusted to assign addresses dynamically. Static IP addresses should never be your first option, but when all else fails, they usually work. 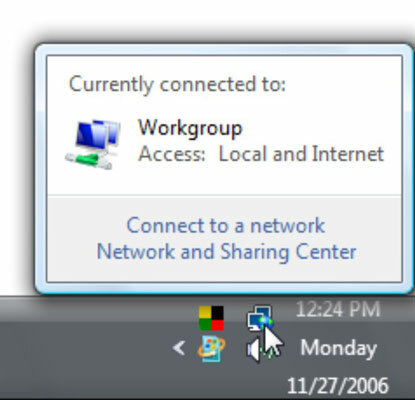 1In the notification area, down near the clock, click the network activity icon. It’s the one that looks like two monitors and a blue beach ball. 2Click the Network and Sharing Center link. 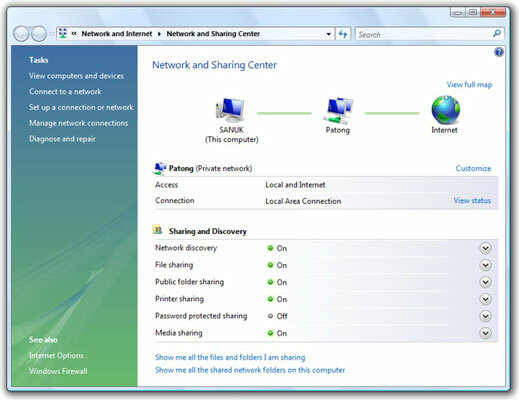 Vista brings up the Network and Sharing Center. 3On the right, click the View Status link. 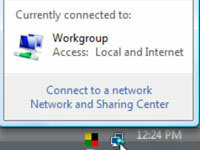 You see the Local Area Connection Status dialog box. 4Click the Properties button. Then click the Continue button on the User Account Control message. 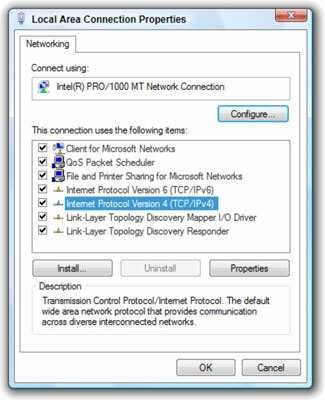 Vista brings up the Local Area Connection Properties dialog box for your network card (or wireless adapter). 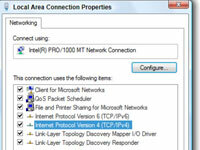 5Click the Internet Protocol Version 4 (TCP/IPv4) line and then click the Properties button. You finally drill down to the dialog box that lets you assign IP addresses manually. 6If you're sure you know what address will work, select the Use the Following IP Address option and type your static IP address in the four boxes. The one in the previous figure probably won’t work for you. 7Type in your Subnet mask. This number is almost always 255.255.255.0. 8Type the address of your DNS server. 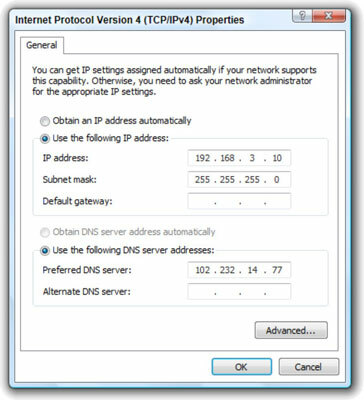 You have to set the DNS server manually if you have to set a static IP address. If you don’t know what this number should be, contact your Internet service provider. They should be able to tell you. 9Click the OK button twice, click the Close button once, and then click the red X to exit the Network and Sharing Center.